Rent your next mid to long-term housing online. Experience your new home with Spotahome! If you’ve been living in Spain for at least a few months, there’s a chance you’ve heard about San Fermin (My manager scolded me for not writing an article about San Fermin last year, so here it is!). 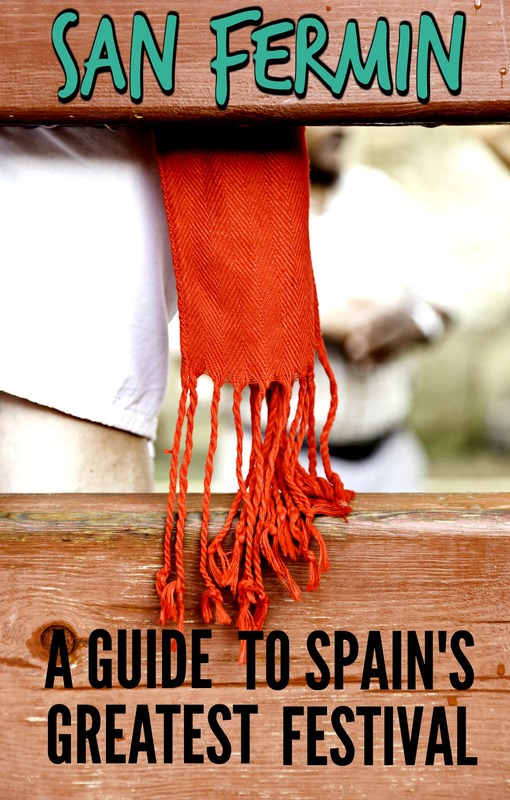 Some call it the greatest party of the worldwhile others wonder what it is, but there is no doubt that during the summer, San Fermin is one of the most talked about festivals in Spain. 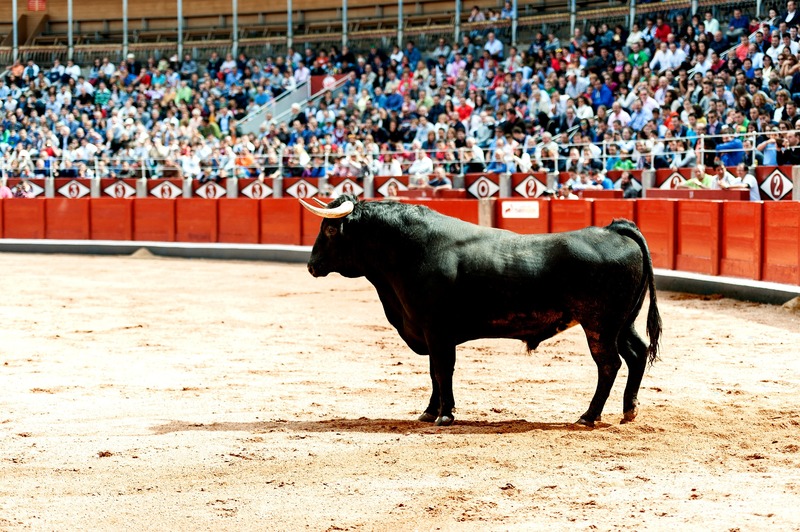 It’s based in Pamplona, Northern Spain, and the event happens every July. 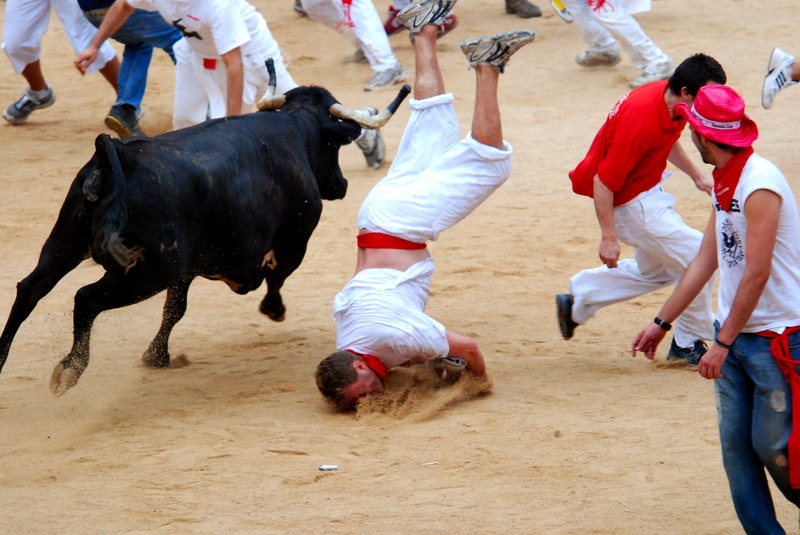 Sooo… What exactly is San Fermin? A better question would be, WHO is San Fermin. San Fermin was a patron saint of Navarra who was beheaded on his preaching voyage. His story is considered somewhat of a legend and in true odd Spanish festival style, no one fully knows whether it’s true or not. Why do we celebrate it then? San Fermin is a chance for people to get together and enjoy a festival of what is also known as ‘Running with the bulls’. In the old days, the butchers brought the bulls from the ranches and were accompanied by the pastors who would often run ahead to lead the way. This soon turned into a tradition. Attendees can literally run with the bulls and at least a dozen of them get hurt in the process (we can understand why). Due to its oddity, this event became a popular tourist attraction through the years – people come across the worldto attend in the running of the bulls! In other parts of the country, San Fermin often means dancing, drinking, eating and celebrating this truly odd holiday in their own way. We are aware of how little this actually has to do with the patron saint San Fermin. Sounds like something very controversial. It is. Not only have 15 runners died since the beginning of this event which dates back to 1924 – the bulls are often tormented ahead of the runand injected with various tranquilisers. The streets are filled with blood after 50 of the bulls used in this event run in the bullring where they eventually die. Bulls are strong animals, but in such event they are often weakened to ensure the protection of the public. Animal rights activists are absolutely furious. Spanish: “A San Fermin pedimos, por ser nuestro patron, nos guie en el encierro dandonos su bendicion.” We ask San Fermin, being our patron saint, to guide us in the bull run and give us his blessing). English translation: We ask San Fermin, being our patron saint, to guide us in the bull run and give us his blessing. Taking photographs inside the run is forbidden! When exactly does it start? This year, San Fermin starts on 6th July and lasts until 14th July. And trust us, there’s plenty to do during those days! It’s party time! What do you think of San Fermin? Are you supporting this traditional Spanish festival? If you liked this article, don’t forget to follow us on Facebook,Twitter & Instagram! Full-time Spotahome Blog Manager, part-time guitar playing, travel loving, soul searching hippy. Want to contribute to the blog? Drop us an email at blog(at)spotahome.com! Can't wait to talk to you! Welcome to the Spotahome Blog, the go-to resource for current and potential tenants living or moving to one of the cities where Spotahome is present. We love working with travel bloggers and we want YOU on board. Interested in writing for Spotahome? We're looking for bloggers who can write about living as a local in one of our cities using list type articles or even making videos. Please get in touch at blog@spotahome.com and share with us your portfolio or blog. We only accept long-term contributors, not one-off guest posts.